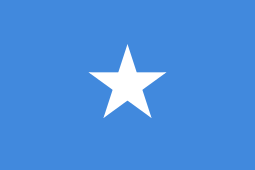 Elections in Somalia were last held during the tenure of Somalia's socialist administration in the 1980s. Popular elections were planned for the parliament in 2012, but were not held. The provisional constitution of the country however does provides for an electoral system. During the civilian administration that existed prior to the seizure of power by the Supreme Revolutionary Council (SRC) in 1969, there were a number of local political parties. Most notable of these early institutions was the Somali Youth League, the nation's first political organization. Upon assuming office, the Siad Barre-led SRC outlawed all extant political parties and advocated a form of scientific socialism inspired by Marxist China and the Soviet Union. Following the outbreak of the civil war in 1991 that saw the ouster of the Barre regime, many of the few remaining political parties gave way to autonomous or semi-autonomous regional states in the northern part of the country, or fragmented into feuding militia groups in the south. After several unsuccessful national reconciliation efforts, a Transitional Federal Government (TFG) was formed in 2004 with a mandate leading toward the establishment of a new constitution and a transition to a representative government. In June 2011, the mandates of the President, the Parliament Speaker and Deputies were extended until August 2012, after which point new elections were to be organized. d) the Prime Minister is selected by the President and he/she then names his/her Cabinet. 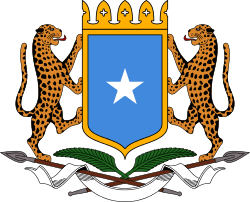 The parliamentary vote-based presidential election in 2012 was held in September 2012, where Hassan Sheikh Mohamud was elected president. ↑ "Somalia Federal Parliament elects Hassan Sheikh Mohamud as President". Garowe Online. 10 September 2012. Retrieved 10 September 2012. This article is issued from Wikipedia - version of the 12/12/2013. The text is available under the Creative Commons Attribution/Share Alike but additional terms may apply for the media files.